In a series of shocking events, I decided to do a little experiment. As part of a latest List Building Case Study Project for members. In that experiment, I left hundreds of comments on related blogs and articles across the net, using the secret Comment Hacking techniques I share in my free Comment Conquest training. Comment Hacking, for those of you not in the know, is a series of special techniques I developed that puts Blog Commenting For Traffic on steroids. And the results can be remarkable. I then sat back and watched the results. And did some testing, tweaking, and re-optimizing accordingly. One of the blogs that contributed greatly to the success of the experiment was Neil Patel’s QuickSprout blog. When you’re doing Comment Hacking for traffic, you want to have a blog owner who naturally exudes awesomeness. This benefits you in several ways. You have someone… a new buddy, a companion, a compadre… who is with you every step of the way. Every time you leave a blog comment, he replies. And lets you know that your comments are valued. And of course, if he is naturally awesome… his site is going to have massive quantities of traffic. Which makes Comment Hacking all the more easier. By commenting, you’re helping him get more activity on his blog posts. And thus, better search engine rankings. And it always feels good to help an awesome guy. A lot of marketers teach you that… if you want to leave blog comments for traffic, that you should do so on the latest posts. And to do so as fast as possible. To secure a top spot. The school of thought is that the earlier you leave a comment, the higher up your comment appears, and the more traffic you’ll get. Based on my experiments, I’ve found this to be both true and false. I found that, leaving traffic on any old random, latest blog post, and securing the top spot for that only gave me on average around 1 to 2 extra visitors a day. Some maybe less, some maybe more. But on average around 1 to 2. And also, that traffic was not as sustainable. I talk more about this in point #7. What you want to do instead is… leave comments on Top 20% Posts! It refers to the 20% of posts that receive 80% of the site’s traffic. In other words, the highest traffic posts. Look At The Sidebar. Some sites have a Popular Posts widget in the sidebar that tells you exactly which posts are receiving the most traffic. This is true for Neil Patel’s site. Out of the 3 methods, this one gave me the most traffic. Look At Alexa. Using the Alexa tool, I entered in the site URL for quicksprout.com and it gave me back a bunch of data. The most important of these, for me, was the “Top Keywords From Search Engines” data. It told me where most of the search traffic for QuickSprout was coming from. All I had to do was search for the keyword in Google, to find the post getting that traffic. Look At Buzzsumo. Using BuzzSumo will tell you which posts are receiving most of the social traffic. There are other techniques you can use. But I will go more into those another time. 61% of the traffic I generated from the site, came from just 3 blog posts. One of each was found using the 3 techniques above. 39% of the traffic I generated from the site, came from a random collection of 30 to 40 other comments on other random and latest blog posts. Commenting on Top 20% Posts gives you the best ROTS (return on time spent). Other than the fact that latest posts don’t get as much traffic, the traffic from the majority of those posts also drops off over time. The reason for this is because they get replaced by newer posts on the front page. And thus, the traffic is less than it was before. After some time had passed, and the Latest Posts I left comments on dropped off the front page, the ratio of traffic coming from latest posts dropped to around just 10%! Lesson learned: Traffic from top posts is a lot more sustainable. I go more into this in my case study, and Comment Conquest training. When you’re commenting on a site as huge as Neil’s, it’s going to be ultra-competitive. Competing against hundreds and hundreds of other comments. So in order to maximize your clickthrough rate (CTR), it’s necessary to differentiate yourself from the crowd. Since we are doing this for the sake of list building, it is ideal to create a differentiation that also targets your ideal audience. 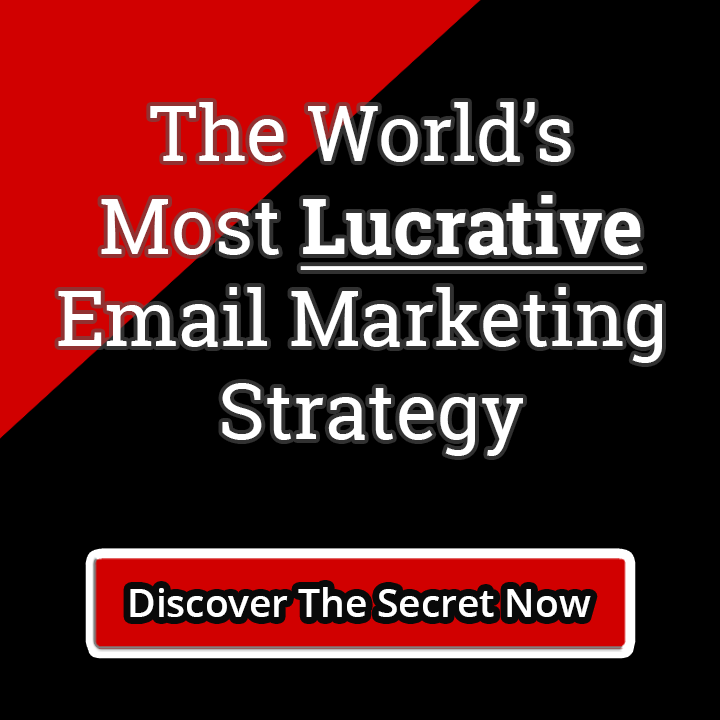 People who long for, and need, your lead magnet and would gladly sign up for it. I found that on sites like QuickSprout where it is clear that the Comment Name is a link, it’s better to use a distinctive title between your name. On sites like NeilPatel.com where all Comment Name links are black, and thus not clearly clickable, it’s better to have your website domain name at the end of the name. I found that if I leave short, low value comments… even if I am differentiating myself… and standing out… and getting a good placement in the Comment Rankings… they get almost NO clicks! Differentiating yourself is not enough. You must provide value. You must prove yourself worthy to obtain the click. And you do so by adding insights, observations, and funny stuff to your comments. And typically, the longer your comment, the better the traffic you will get. After taking all the previous points above into consideration, of course. But let’s talk a bit about placement. Including some surprising insights. Just like in SEO, there are rankings in the Comments Section as well. The general school of thought is that the higher up the page you rank in the Comments Section, the more traffic you will get. And that is true, as I mentioned above. You will get more traffic at the top. But that’s not the only optimal place. In general, just like ranking in the search engines, it is ideal to rank for as many spots as possible in the Comments Section… if you have interesting things and value to display by replying to other commenters. However, other than the top spot, the bottom spot in the Comments Section will also get you a ton of views as people scroll to the bottom to Comment, and just to see what’s there at the milestone. This is especially so if you end the comment by leaving a signature “sign off” that draws attention. And that is visible over the Comments Box. However, because the last spot in the Comment Rankings is a highly volatile place, and is constantly being taken by other commenters, it is necessary for you to understand the best time to comment here to get the most traffic. I could find no good data on this out there. It’s a stat that many have been wondering, but no one has been able to answer. What is the best time to comment on Neil Patel’s Blog? Using a special tracking software, and doing some number hacking, I have done some day parting to determine the answer to that once and for all. All the other time ranges come no where close to these times in terms of traffic generated. If you comment during these times, you will be able to get the maximum amount of traffic from leaving a comment at the bottom of the Comment Rankings. Incidentally, the best day to comment on Neil’s Blog is Thursday. And the second best day is Sunday. And the third best day is Saturday. #2. Where Should You Link Your Comment URL? Pay close attention, because if you miss out on this, you will waste a lot of traffic. And no one will opt-in to your list. 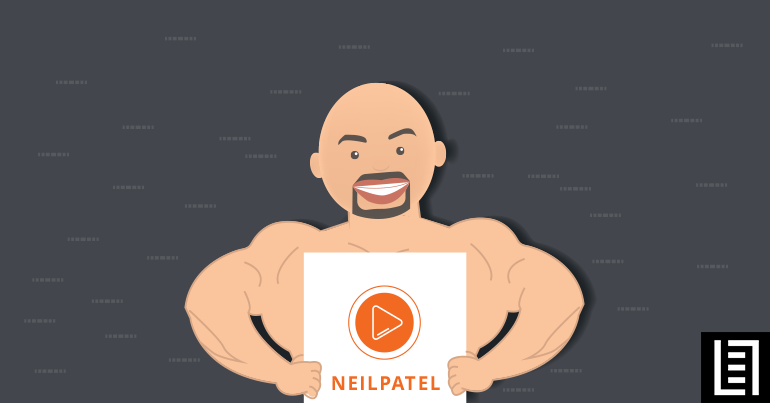 I have found that… if you want to build your list quickly, it is best to send the comment traffic from Neil Patel’s blog to… YOUR OWN BLOG! People coming in from the blog comments are in a “Blog Reading” state of mind. Sending them to a squeeze page will result in a dramatic bounce rate. Instead, send them to your blog, and let them transition themselves, after reading your great content, to sign up for your list on your own. Sending tons of traffic directly from Comment Hacking on Neil’s site to a Squeeze Page produced a less than 1% conversion rate for me. And high bounce rate. However, what happened when I switched that up and starting leaving comments to my blog instead? Almost 30% opt-in rate! Either send commenters to your blog, or to a blog post. One of the key principles that I share in the Comment Conquest system for Comment Hacking is the concept of 4 Levels Of Comment Targeting. I won’t go into all the details of that here… But I will tell you that Neil Patel’s site is one of the best places for L2 Comment Hacking! The reason for this is because of his expanding series of expertise… so you can find blog posts in a wide range of topics, with a huge number of commenters, to conduct L2 Comment Hacking. In short, L2 Comment Hacking is basically leaving comments that target blog post COMMENTERS instead of READERS! Blog Post are actually a treasure trove of highly targeted and self-segmenting prospects! But hardly anyone knows this. People who are interested in list building… clearly display this by reading blog posts on Neil’s blog about how to build their list, and… leaving a comment expressing thanks and questions and showing that they have read it! So, how do I do L2 Comment Hacking on Neil’s Blog? Simple… I clickthrough to the blogs of these commenters… who are commenting on specific articles related to my lead magnet… And then I read and leave a comment on their blogs! To get them to notice me!